As I mentioned in my review, Alan Garner’s Alderley Edge fantasies incorporate a local legend about sleeping knights. The story has it that a farmer from Mobberley set out to Macclesfield to sell a horse. An old man near the Thieves’ Hole offered to buy the animal, but the farmer didn’t think the price was enough, so he continued on to Macclesfield. Since no one there would buy the horse, he returned back home, and fortunately for him the old man was still there. He turned out to be a wizard guarding a cavern where men and horses were sleeping until the time they would be needed to save England. As one of the sleepers was missing a horse, the wizard paid the farmer in the treasure kept in the cave. In Garner’s series, the wizard’s name is Cadellin Silverbrow. Although Garner does not directly associate the knights with King Arthur, the legend has been tied to that mythos. In fact, both Arthur and Merlin are said to be sleeping until they’re needed again (which you could argue has already happened several times), the former most commonly placed in Avalon, although there are local tales that give him other resting places. And these are far from the only sleeping warrior tales. Wikipedia refers to the motif as “king in the mountain”, although not all of the sleeping heroes are kings, and their resting places aren’t always mountains. They often are, though, I guess because mountains tend to be full of largely unexplored caves. It does seem to be distinct from people hanging out in Heaven, made outright immortal, mysteriously disappearing, or just flat-out faking their deaths and hiding out from the public eye; but there are certainly common elements. In addition to the Wikipedia page, there are lists of such sleeping heroes here and on TV Tropes. This page on the Alderley Edge legend also mentions a few other similar tales. One early example of the type involves not kings or warriors, but rather seven faithful Christians in Ephesus in the time of Emperor Decius. According to Jacques de Voragine, their names were Malchus, Maximian, Marcian, Dionysius, John, Serapion, and Constantine. They hid out from imperial persecution in a cave in Mount Celion, and while Decius couldn’t find them, he did have all the caves in the mountain sealed. Centuries later, a shepherd moved the stones covering the cave and the sleepers awoke, unaware that they had been asleep for so long. They were amazed to find that Christianity had become the official religion, and the age of the few coins they had led the people of Ephesus that they had dug up a buried treasure. After the truth was revealed to the Emperor Theodosius and certain of his subjects, the sleepers died. They are said to have slept for 360 years, presumably a symbolic number that doesn’t work out mathematically with the emperors commonly name-checked in it; it was only 201 years from the beginning of Decius’ reign until the end of that of Theodosius II. 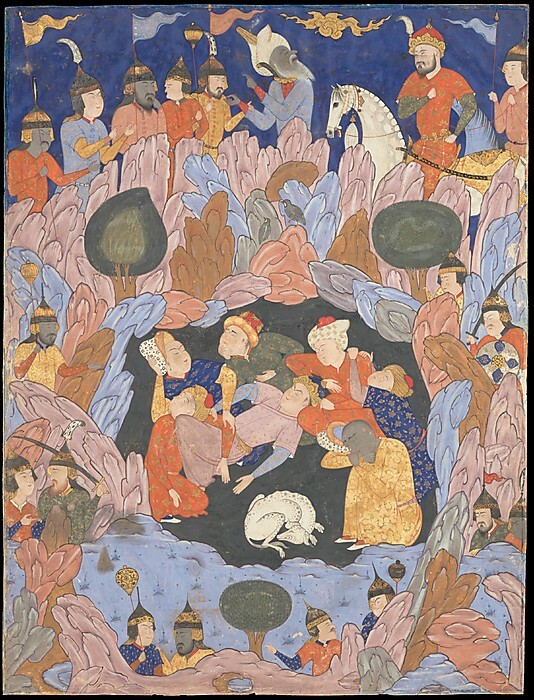 The Islamic version of the legend, as recounted in the Quran, adds a dog who watched over the sleepers (I guess Disney wasn’t the first to add lovable animal companions to classic stories). It also says that nobody knows exactly how many sleepers there were, and gives the length of their snooze as 300 solar years. Ogier the Dane, or Holga Danske in Danish, is first known to have appeared in Chanson de Roland in the eleventh century, in which he’s one of Charlemagne’s knights. A later poem adds to this by saying he was originally an enemy and hostage of Charlemagne, but later joined forces with him against the Saracens (whom they should have instead asked to add a dog to the story). Although introduced in French literature (as far as we know, anyway), he became a Danish folk hero, and is said to be asleep under Kronborg, the castle that Shakespeare called Elsinore, until such time as he’s needed to save the country. 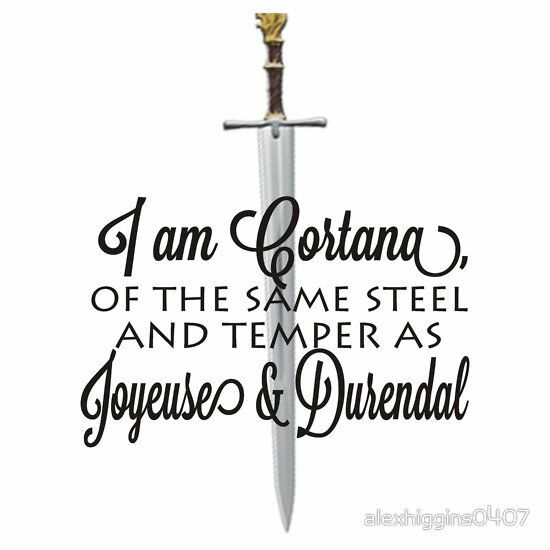 He’s said to have had a sword called Cortana or Curtana, which is also the name of a ceremonial sword used in British coronations. Legend has it that they’re the same sword, with Ogier having inherited it from Tristan of Arthurian fame. 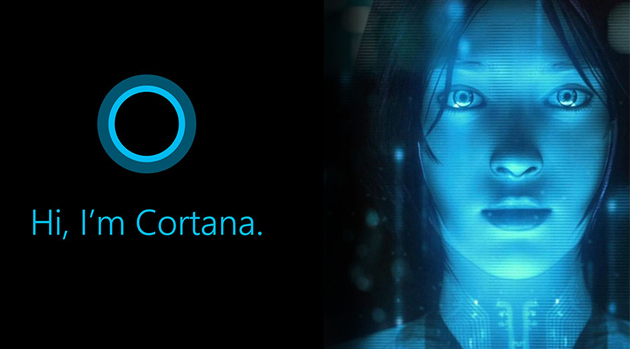 It’s presumably the namesake for Cortana in the Halo games, and hence indirectly the Microsoft phone application. Charlemagne himself is sometimes said to be among the sleeping hero-kings, seated on his throne in the Untersberg near Salzburg, tended by dwarves and waiting for the ravens to stop circling the mountain so he can go out and fight the Antichrist and re-establish his empire, or something like that. The mundane history has it that he was buried in Aachen Cathedral, but that’s no fun. Similar accounts are given of Emperor Frederick Barbarossa, whose resting place is generally said to be Kyffhäuser Mountain in Thuringia. Vaclav, Duke of Bohemia, known in English as Wenceslas (the guy in the day-after-Christmas carol, although he was never actually a king) is said to be sleeping with his knights in Blanik, and will return when his oak tree comes back to life. Or maybe it’s his equestrian statue in Prague that will come to life. 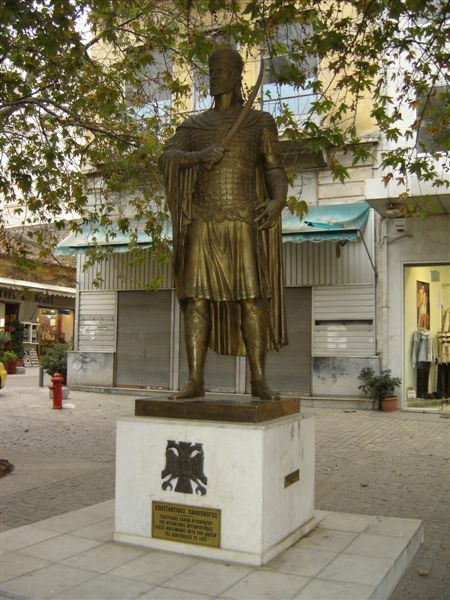 Constantine XI Palaiologos, the last Byzantine Emperor, was allegedly turned into a marble statue (I’m not sure if the Liquid of Petrifaction was involved) and buried near the Golden Gate of Constantinople until…well, you probably get the idea by now. 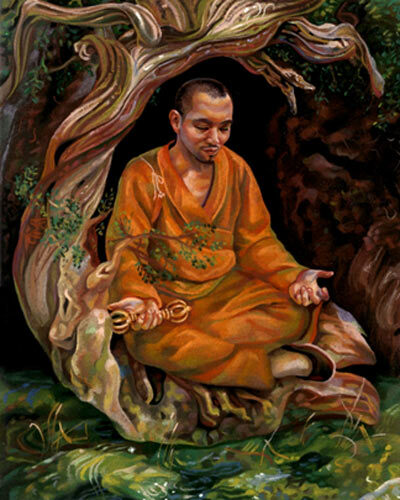 Kukai, the Japanese monk who founded Shingon Buddhism, is said to just be in a really deep state of meditation in Mount Koya, and monks apparently still bring him food and clothes. There are a lot of common themes in these tales, whether because of their being mixed together or just the universal recurrence of mythic elements. 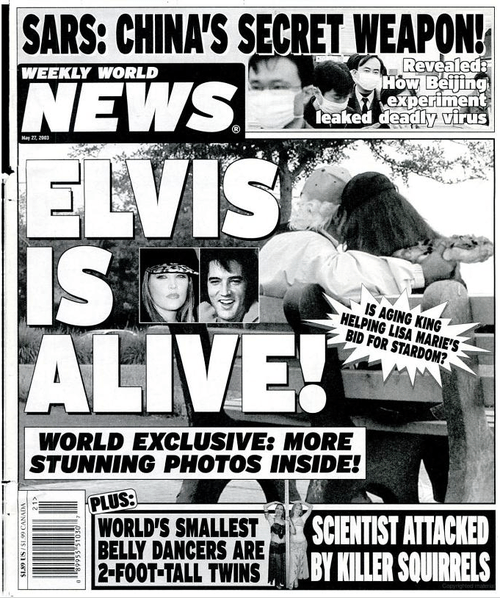 One is the prominence of beards, possibly inspired by the popular urban legend that hair continues growing after death. Of course, these people aren’t dead, just in a sort of suspended animation, but it’s kind of strange that their beards grow when there doesn’t seem to be any other deterioration to the body. It’s a convenient way to show the passage of time, I suppose, and has been used in a lot of cartoons. Some of the sleeping king legends mention the man’s beard growing around a table, with the monarch set to get back up after it’s wrapped around it three times. Ogier’s beard is said to have grown right THROUGH a table, which will break when he rises, assuming it hasn’t already happened. 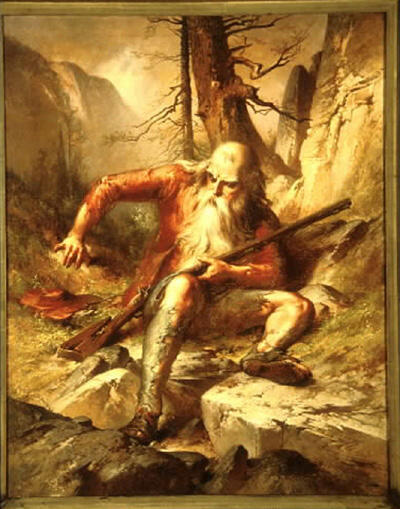 Rip Van Winkle, a lazy guy with a nagging wife rather than a hero but otherwise fitting the general theme, notices upon awakening that his beard has grown to be a foot long. Stories of sleepers also frequently have an unwitting person blunder into the resting place and wake at least one of the sleepy company, who asks the newcomer a cryptic question and then goes back to sleep. Some of these blunderers obtain treasure from the enchanted caves, but others aren’t so lucky. Waking them often involves ringing a bell or some other sort of musical call. Sometimes the sleepers wake up on their own every once in a while, often in seven-year intervals. The sleeping hero legend doesn’t really appear to have made that much headway in the United States, although Wikipedia does mention a myth that Tecumseh of the Shawnee would return one day. I suppose Walt Disney being frozen also counts, with TV Tropes pointing out that “the fact that the American version of the King in the Mountain story is about an entertainer rather than a political leader is an interesting commentary on American culture.” Captain America is a purely fictional (rather than pseudo-historical) example who fits the trope pretty well, again being frozen instead of simply sleeping, and the great need for which he comes back is that of Marvel wanting to sell more comics. Even Fry from Futurama, while a rather unlikely hero, is frozen for 1000 years to save the universe from the Brain Spawn, even if only the Nibblonians know about it. I guess being frozen is the new enchanted sleep. This entry was posted in Arthurian Legend, British, Buddhism, Christianity, Comics, Fairy Tales, French, Futurama, German, History, Islam, Mythology, Religion, Television, Urban Legends and tagged alan garner, alderley edge, antichrist, avalon, beards, captain america, charlemagne, constantinople, cortana, cryonics, curtana, emperor constantine xi palaiologos, emperor decius, emperor frederick barbarossa, emperor theodosius ii, enchanted sleep, holga danske, king arthur, king in the mountain, kronborg, kukai, merlin, mount koya, ogier the dane, philip j. fry, quran, seven sleepers of ephesus, shingon buddhism, swords, the weirdstone of brisingamen, walt disney, wenceslas duke of bohemia, wizards. Bookmark the permalink.